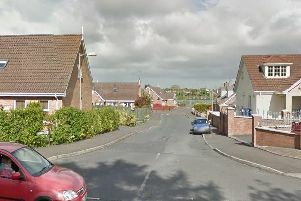 Police have described as ‘cowards’ hoods who stoned a delivery driver during a violent attack in Craigavon. The local man came under attack on Tullygally East Road near Meadowbrook on February 14 at around 10pm. A PSNI spokesperson said: “A local delivery driver came under stone attack from some cowards with hoods up. “Thankfully he was uninjured but his car is badly damaged. “It was a silver Vauxhall Vectra, and it’s possible that the stone throwers thought it was one of our vehicles.